Home Lifestyle Dining Out Little Pattaya? It’s on Khao Talo! And it’s different! Little Pattaya? It’s on Khao Talo! And it’s different! Every so often, we discover somewhere totally different from other new restaurants. Little Pattaya Bistro and Bar is one of those, and has been going four months. 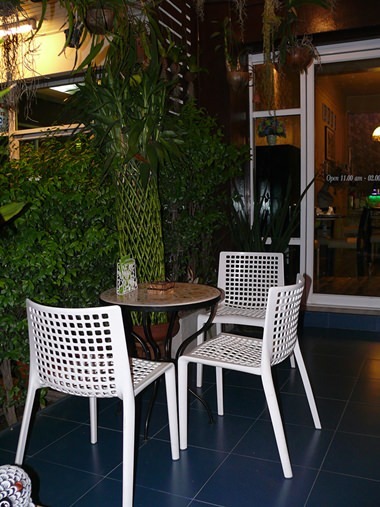 The restaurant is on the very busy Soi Khao Talo and is on the short section between Sukhumvit and the Railway Road. It is around 100 meters from Sukhumvit on the right hand side with a large expanse of cleared land on the left, suitable for parking. Little Pattaya – easily missed, drive slowly! The restaurant is in a single shop-house and has a small covered area outside, dominated by greenery and assisting the diner to forget about the frenetic traffic on Khao Talo. The inner section is air-conditioned and the walls are adorned with an eclectic display of art works, plus some small statues, all done by the owner/maître d’. The owner saying he wants it “to look like a home. A place where you can relax.” Towards the rear of the section there is a cocktail bar to one side and then further down there is the kitchen. The owner is Thai and a most interesting chap who 20 years ago had run a restaurant in Phnom Penh, then five years in Liberia and then 10 years in East Timor, each time with his friend the chef. Obviously a strong culinary partnership. Cuisine is described as Thai and Euro Continental and this is reflected in the menu which has separate appetizers and mains with Thai and Euro, with some items from Lebanon such as Hummus and Falafel, with an interesting grilled beef and vegetables called Kofta (B. 180). 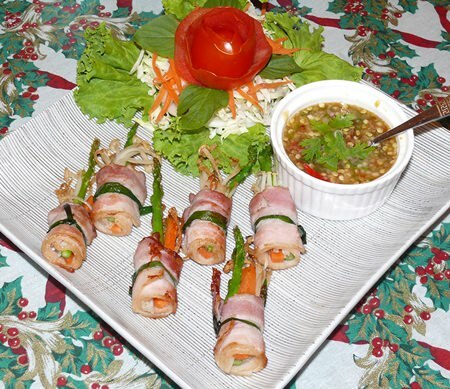 Thai appetizers range from B. 50 to 150 and Thai mains B. 60-200. Rice and noodles has fried rice at B. 150 and Tom Kha Gai B. 120. Seafood is B. 200-450, with most around B. 300. Pad Thai is B. 100 and papaya salad is only B. 50. 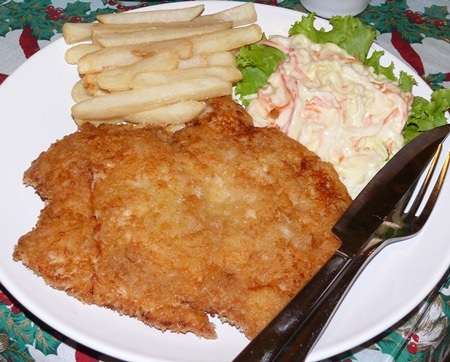 In the Continental menu, fish and chips are B. 150 and chicken escalope B. 200 and spaghetti dishes B. 150. The hummus is B. 120 and spring rolls B. 80 (more about those later). We let the owner direct us towards their signature dishes and we began with asparagus spears rolled in bacon, a very tasty way to begin. However, we felt the spring rolls topped this, with long spring rolls with vegetable and crab. Beautiful! Chicken escalope covered the plate. A red curry duck was most authentic Thai, along with a sweet and sour fish, offsetting the spiciness. A very continental item was next, pork spare ribs with the meat falling off the bones. Again universal approval. 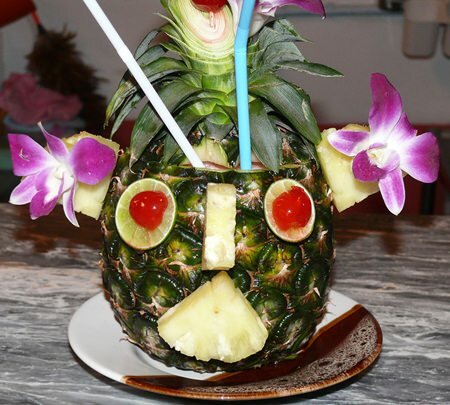 The owner is also proud of his mixing skills and we had a Margarita and a concoction in a whole pineapple. I have no idea what was in it, suffice to say it was rather ‘more-ish’. 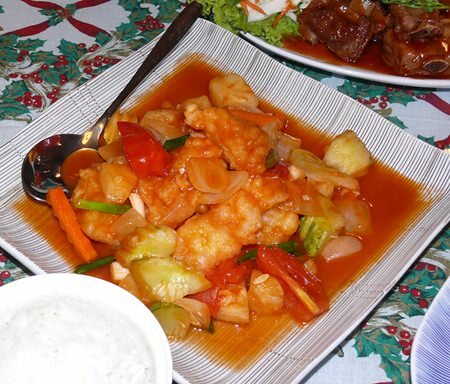 Sweet and sour Thai style. 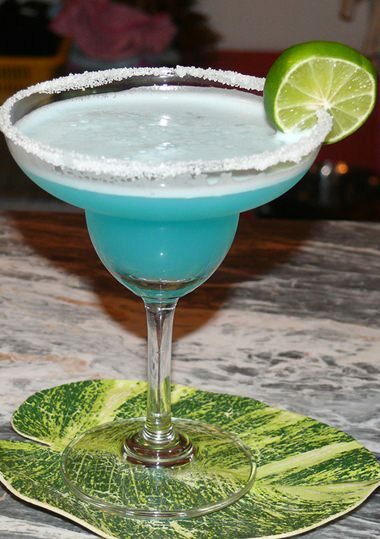 The drinks menu is separate from the food and has different non-alcoholic drinks as well as wines, with local beers B. 60-80, cocktails B. 150-250 and house wines B. 100 per glass. They are proud of their coffee, which comes from East Timor and at B. 80 for a pot, very reasonable. It was a fun evening, and I have always adhered to the dictum that food should be fun, and not just sustenance. 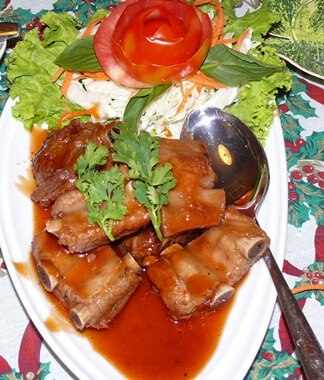 The food was enjoyable and Little Pattaya would be a good place to take a few friends for an entertaining evening. Moderate prices so an inexpensive outing. Well worth the trip. Recommended. For interest, Khao Talo’s Little Pattaya is actually the second one, with the first being in Dili and run by our owner’s sister. 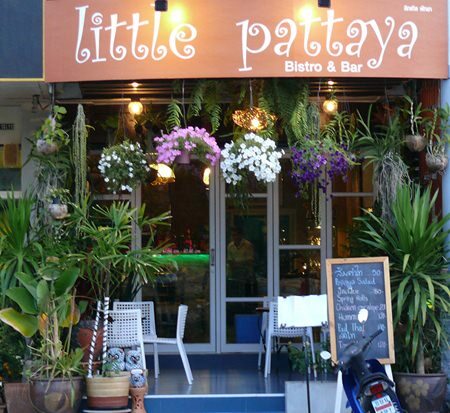 Little Pattaya Restaurant and Bar, Soi Khao Talo (100 meters from Sukhumvit Road), telephone 097 153 3399, open seven days, 11 a.m. till 2 a.m., limited parking in front of the restaurant but lots of space opposite in the cleared area.